Uncle Magpie Yerrubilgin is a Minyungbal Yugambeh song man. His father was born in Fingal Head and his mother was born in Innisfail (Northern Queensland). He spent his childhood growing up in both area’s. An excerpt from the book Our ways Our stories. Magpie says “Our land, our people, our language, our native animals and plants were slowly being replaced by foreign people, language, animals and plants.” For Uncle Magpie the importance of sustaining his culture became the focus of his life. Magpie is an artist and cultural educator with young children. 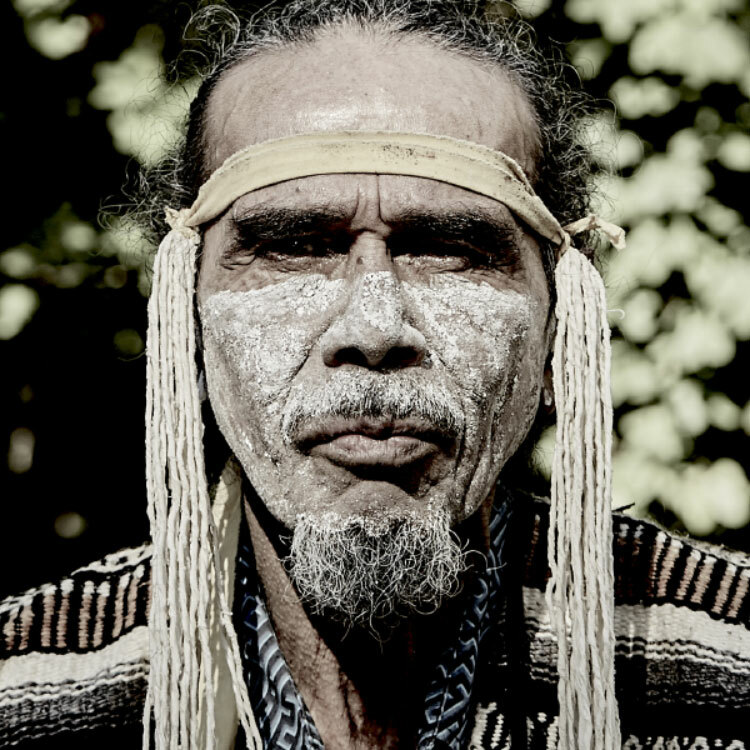 He also performs at local festivals in the area educating community on the importance of Australian Indigenous culture.